On August 31, 2018, the Environmental Protection Agency ("EPA") proposed the Affordable Clean Energy ("ACE") rule to replace the Obama Administration's Clean Power Plan ("CPP"). Both rules set out guidelines for greenhouse gas emissions from existing electric generating units ("EGUs") based on authority provided by Section 111(d) of the Clean Air Act. The similarities between ACE and CPP end there. 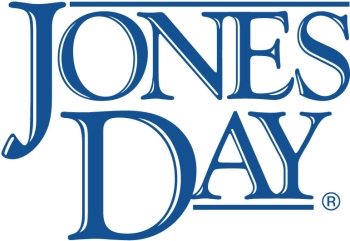 A Jones Day White Paper explores, in detail, the new aspects of ACE that are likely to draw significant public comment. Those aspects include, but are not limited to: (i) relying solely on heat rate improvements to achieve reductions, rather than a combination of heat rate improvements, increased gas-fired generation, and increased renewables; (ii) allowing states to select the appropriate reductions for coal-fired EGUs from a menu of available techniques, rather than assigning hard-and-fast limits that each state must achieve for all of its EGU emissions, combined; (iii) proposing rate-based limits (pounds per megawatt-hour), instead of mass-based limits (tons per year), for coal-fired units, thereby making emissions trading less likely as a means of compliance with ACE; (iv) excluding existing gas-fired power plants from regulation under ACE; and (v) making considerable revisions to New Source Review permitting of EGUs to facilitate the energy-efficiency upgrades needed for ACE compliance. A 60-day public comment period on the ACE proposal ends on October 30, 2018. The next step, once comments are submitted, is to continue engaging EPA during its review of public comments and to think beyond the proposal toward a comprehensive plan for compliance with a final ACE rule. On September 10, 2018, California Governor Jerry Brown set California on an ambitious clean energy path with the signing of Senate Bill 100 ("SB 100"), which requires that by 2045, 100 percent of California's electricity be generated from zero-carbon sources. To make this lofty goal even more of a challenge, Governor Brown also signed an executive order establishing a new statewide goal to reduce California's overall emissions to zero by 2045 and then go negative thereafter. SB 100 makes California the largest economy in the world to commit to generating 100 percent of its power from clean energy. Despite its groundbreaking nature, this bill was the next logical step for California, which has been steadily increasing its renewable portfolio standards ("RPS"), from an initial goal of 20 percent by 2017, to 60 percent by 2030, to this new 100 percent by 2045 target. Unlike prior iterations under the RPS, however, this 100 percent by 2045 target requires only zero-carbon resources rather than specifying renewable sources allowed under California's RPS laws. Accordingly, while hydropower and nuclear power plants did not qualify as renewable energy under the RPS legislation, they likely will qualify under SB 100, given the zero-carbon flexibility beyond 2030. This new bill also leaves open the possibility for other carbon-reducing innovations such as carbon capture and sequestration technology. SB 100 requires the California Public Utilities Commission, California Energy Commission, and California Air Resources Board, along with other state agencies, to incorporate this policy into all relevant planning. It also requires these entities to prepare a joint report to the California legislature by January 1, 2021, and every four years thereafter. This report will include a review of the 100 percent clean energy policy, including forecasts, resources, barriers, and impacts on reliability. In addition, SB 100 requires that its implementation does not increase carbon emissions elsewhere in the western grid and does not permit resource shuffling, a limitation that effectively prevents California from relying on fossil fuel generation from outside the state to serve the state's electricity needs. While California currently has its own single state independent system operator, CAISO, many analysts believe the 100 percent goal will be next to impossible to achieve without a wholesale market that includes multiple western states. Indeed, Governor Brown attempted to tie his signing of SB 100 to a partner bill that would have allowed California to join a multistate regional transmission organization through an expansion of CAISO. Proponents of joining a larger regional market believe it will help California meet its 100 percent carbon-free goal by enabling California to access large renewable electricity sources such as wind and at the same time provide California a market to sell its excess solar power. Such flexibility would allow California to meet peak demand in the evening, which is currently satisfied primarily by natural gas. That said, opponents of joining a larger regional market believe it could result in resource shuffling and encourage the development of coal and natural gas plants in other western states. While Governor Brown ultimately dropped his demand for this partner bill and signed SB 100 without it, whether California is able to achieve its 100 percent carbon-free goal by 2045 without the ability to access a larger regional market remains to be seen, as SB 100 sets California on an ambitious clean energy path that is not without challenges. On May 30, 2018, the European Parliament and Council adopted Regulation (EU) 2018/841 "on the inclusion of greenhouse gas emissions and removals from land use, land use change and forestry in the 2030 climate and energy framework" ("LULUCF Regulation"). Removals of greenhouse gases from the atmosphere occur as a result of absorption of such gases in forests or other natural environments that act as carbon sinks. Building on the Paris Agreement, which emphasizes the importance of climate mitigation through land use activities, the LULUCF Regulation supplements the regulatory framework to reduce greenhouse gas emissions. This consists of: (i) the EU Emission Trading System ("ETS"), which covers mainly large-scale industrial facilities and the aviation sector; (ii) the Emission Sharing Decision for non-ETS sectors (e.g., waste, agriculture); and now (iii) the LULUCF Regulation regarding greenhouse gas emissions and removals from land use, land use change, and forestry. In order to limit deforestation and conserve carbon stocks, the LULUCF Regulation provides that Member States must ensure that emissions do not exceed removals, calculated as the sum of total emissions and total removals on their territories in all of the land accounting categories (so-called "no-debit rule"). There is some flexibility in how Member States comply with the no-debit rule, including but not limited to the ability of Member States to trade their total net removals with other Member States. The LULUCF Regulation does not set any obligation for private parties, but it may ultimately result in stronger obligations for actors in the LULUCF sector. It also recognizes land use and forestry as acceptable methods of greenhouse gas removal, contrary to the European Union's previous position on this matter.